Your friendly neighborhood Grim here, back in the saddle for this week’s Community Update. Note that this edition will be more of a brief catch-up, in case you were popping in searching for zomg-new-Haloz-info. As we’ve said before, you’ve got plenty of time before that. 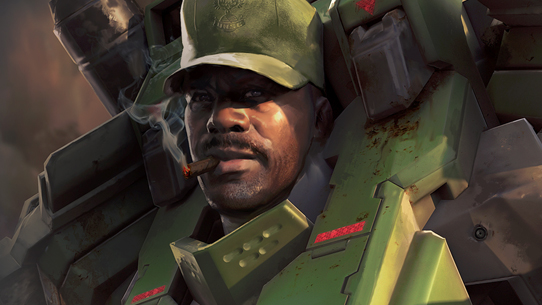 We do however, have a myriad of cool catch-ups on some neat Halo happenings from around various corners of the franchise, from celebrating a special Halo birthday and hitting up some epic upcoming European esports action, to getting you up to date on fast-approaching event details and highlighting some particularly sweet community creations this week as well. 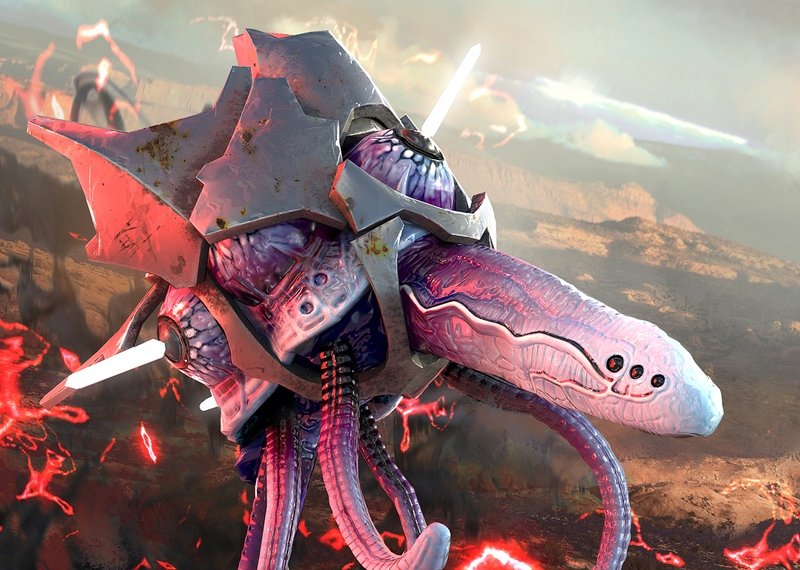 Oh, and we've got a sweet little fiction-focused preview of one of Halo Wars 2’s upcoming Leaders. With that, let’s dive in! One of the biggest blips on the Halo radar currently is the epic throwdown about to commence across the pond this weekend at HCS London. Taking place Sept 15-17 at the gorgeous revamped Gfinity Arena, HCS London features 32 of Europe’s best Halo teams going at it for some pretty impressive stakes. Not only is there a rather lovely $25,000 prize pool to be fought over (and a $5,000 FFA tourney as well), but the tournament’s top three teams also earn themselves an automatic berth in next month’s HCS Fall 2017 Finals in Denver, CO.
You can catch all the action live at mixer.com/Halo and twitch.tv/Halo all weekend long. For more overall info, head over to our HCS London Event Hub, and for a look at the tournament’s top storylines and expert predictions, make sure you click on over to our latest tournament preview feature HERE. Also, on the North American side, the HCS Pro League is back in action next week for the homestretch run of the Fall 2017 season. Will Team EnVyUs be able to keep their stranglehold on first place? Will Splyce be able to get back to the form that won them the Summer Finals? We’ll certainly be keeping our eyes peeled to find out, and so should you! NA HCS Pro League action gets back underway on Wednesday, Sept 20 and can be experienced live as always on the aforementioned mixer.com/Halo and twitch.tv/Halo. 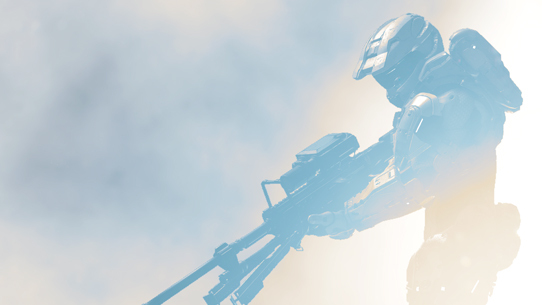 The Halo 5 Weapon Tuning Test is still underway, and we want to make sure you get in on the action! Fellow stalwart scribe ske7ch has spent the past few weeks detailing the ins and outs of the endeavor, the biggest detail drop from which can be seen HERE. We’re gathering tons of info from this phase of the process, so make sure you hop into the pertinent playlist, have some fun, and then maybe most importantly, deliver your feedback in our official feedback thread. 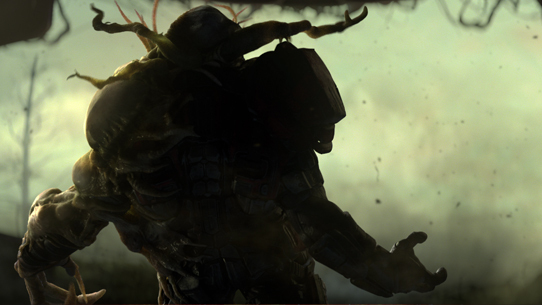 In just a couple weeks, Halo fans will get their hands on the awesome Halo Wars 2 expansion, Awakening the Nightmare. Included in the expansion are two new Banished Leaders, and we thought it might be fun to give a bit of a background lore tease on one of them today – including a couple of their new units. Let’s check out what one of these Jiralhanae battlemasters are up to, and as ske7ch so eloquently elaborated in the HW2 stream today, "watch out for his goo-shooter." Voridus is many things that his elder brother is not: glory-seeking, vicious, curious, and spontaneous. Gifted with an intuitive understanding of Forerunner systems, he has ruthlessly exploited the Ark for new resources and knowledge since the Banished arrived, culminating in his recent harnessing of infusion gel. Infusion gel is a perfected form of the energetic meta-materials and strained-bond lattices used in Covenant fuel rods, and is one of the materials pumped throughout the Ark in great rivers to keep the installation functioning. Unfortunately, the prototype infusion technology Voridus created produces corrosive and mutagenic sludge during operation. Not that this has stopped Voridus from field testing new weapons that actually harness these dangerous by-products. As a leader, Voridus has bent his considerable intellect to perfecting the military uses of infusion gel, utilizing it in powerful explosives and targeted bombing runs. Extended exposure to the toxic residue of Voridus’ experiments with infusion gel has altered his Huragok assistants, causing some to simply fall apart while the rest have been changed in other—more subtle—ways. 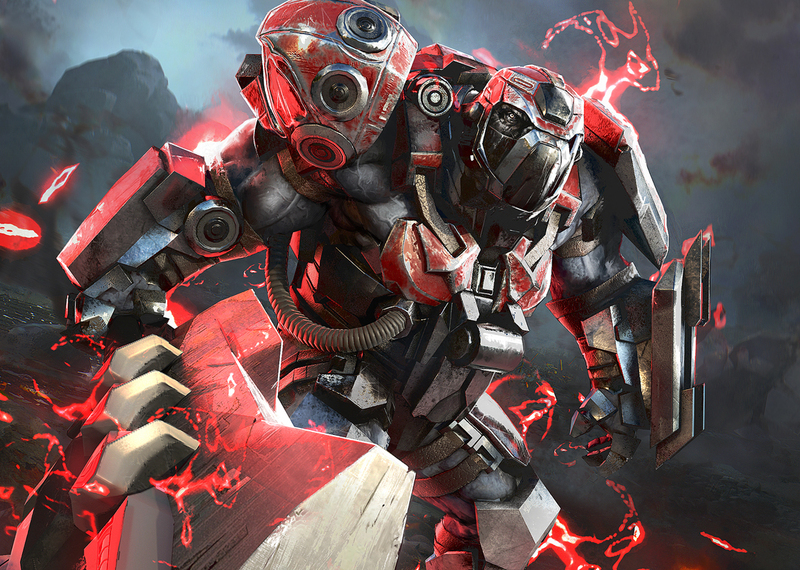 These “damaged” Engineers are shunned by their healthy companions and display distinctly non-Huragok behaviors, such as a lack of interest in repairing Forerunner machinery and sabotaging equipment of Banished who have annoyed them in the past. 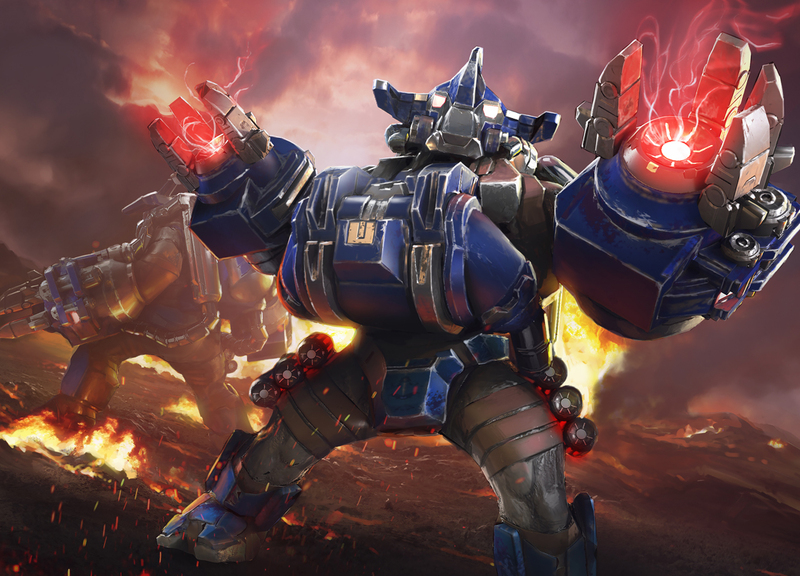 As long as the Infused Engineers continue to perform their duties for him, however, Voridus has little interest in their long-term health or new behaviors. The Brute Grenadiers are madmen and savages who are too unstable and crude to advance in the Banished hierarchy. With few other options to seek glory, they have turned to Voridus, who offers a place in the vanguard of his pack for any willing to test his latest inventions. Glory they will have, even as their bodies rot from the inside out from exposure to the unspeakably toxic by-products of the power they abuse. 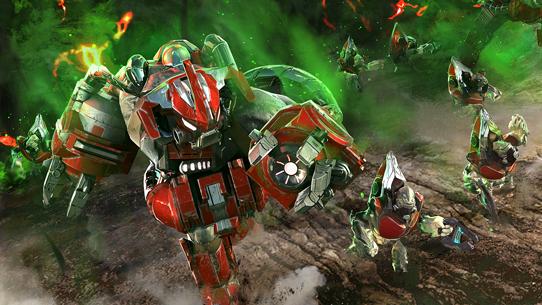 Speaking of Halo Wars 2’s aforementioned expansion, today ske7ch joined Halo Wars 2 Design Director Clay Jensen in the comfy confines of our streaming studio to check out both of Halo Wars 2’s new Leaders, Voridus, who you learned about above, and Pavium, whose backstory we’ll dive into a bit more next week in these pages. If you missed it, you can check out the VOD for the next couple weeks on mixer.com/Halo. Seven years ago, our friends at Bungie released the final salvo in their legendary run on Halo. From the beginning, we truly did know the end, and Halo: Reach remains beloved to many even now. I remember quite clearly waiting at the front of the line at the midnight launch at the Gamestop next to USF in Tampa with the other GrimBrothers. As we walked out with four legendary editions and a Reach Xbox 360, the line legitimately broke out into applause as we high-fived fellow fans on our way home to start our initial campaign run. The game represents an eclectic array of important moments in the franchise’s history, and Noble team will always be held near and dear to the hearts of many. If you get a chance, maybe pop the old game back in this week (especially thanks to Xbox back-compat, and now-completely-free DLC mpa packs!) and enjoy a round of Firefight or two, or perhaps a romp through one of my favorite Halo missions ever, Long Night of Solace. Happy seven7h anniversary, Reach, and thanks for all the good times! On September 25, we’ll be celebrating an incredible and meaningful milestone in the Halo franchise, as Halo 3 turns ten years old. For so many of us, Halo 3 meant much more than just the finishing of certain fights – it was a watershed moment in video games, and in many ways officially ushered in the age of modern AAA game experiences. On the title’s birthday, ske7ch and I are looking at spending some of the day online, playing back through the Halo 3 campaign, maybe hanging out with some old friends, and hopefully sharing it all with you fine folks. We might not be as handsome and drool-inducing as Blur cutscenes, but we’re stoked to have an awesome time celebrating an incredible game. Stay tuned for more details as we get a bit closer. Also, September 25 is also slated to usher in the Halo 3 Classic Throwback playlist in Halo 5, letting fans mix both the old and new in a nostalgia-laden experience that we are really looking forward to sharing with everyone. Can't wait to jump in and play with you all! Just a few quick blips today. Let's see what they are! Double Trouble – Double XP is back this weekend in Halo 5, with the Weapons Tuning Test, Super Fiesta, and Mythic Warzone Firefight playlists taking their turn in the featured slots beginning Friday. Out For Blood – Don’t forget that the first issue of the Halo: Rise of Atriox comic mini-series is now available. If you’ve been on the fence about picking this up, check out this in-depth community critique from savvy lore liaison haruspis on Issue #1. Spartans only go MIA – We mentioned this last week, but wanted to reheat it again here for anyone who might have missed it. There is an unfortunate compatibility issue for “Halo: Spartan Assault” and “Halo: Spartan Strike” on Apple devices running on iOS 10+. We're preparing to temporarily remove both games from the Apple App Store while we work with our partners on a software update. We apologize to players who are unable to play these titles and are working to get both games back in working order as soon as possible. We'll provide additional updates in the near future as plans progress. Baby Come Back-compat – Not only is this still a thing, but we're hearing from the Xbox Back-compat team that the time is drawing quite nigh. Stay tuned for more info soon. We’ve got some awesome additions to the Community Spotlight fold this week, from a whole range of sources. Let’s see what has washed upon our latest creative shores! 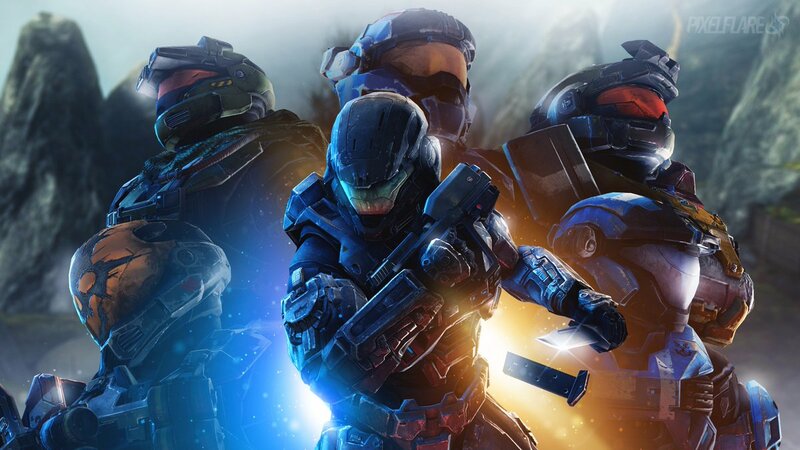 With today being Halo: Reach’s birthday, it would be remiss of me to not resurface one of my personal favorite pieces (ever) of community content – Halo: Fistful of Arrows. Created as a labor-of-love, digital graphic novel by real-life comic creator and long-time Halo fan Levi “Leviathan” Hoffmeier, this gorgeous and scintillating story tells the tell of Jun’s survival during the fall of Reach, and also takes a look back at some of the legend surrounding Noble Team’s early days. It’s not technically canonical, but ONI has also covered up a whole lot of things that didn’t technically exist. You can check out the whole thing by clicking the link below, and also check out the Mayflower sci-fi comic series, written and illustrated by Hoffmeier. Beloved community creator Wangtime served up this savory slice of Reach-related revelry today, with only the most Noble of intentions, of course. Over the PAX West weekend, some incredibly talented and generous community members saw fit to bestow upon our humble Halo museum a full-size replica of the iconic Nornfang, weapon of choice for Linda-058 and sweaty Warzoners alike. A huge thank you to Jeremie Sloan, Gabe Schultz, Joseph Opoka and Ruby Perez, who were all responsible in various ways for the design and development of this awesome artifact. Also a shout out to Duststorm, drax122, minolta1034, pens_halo, LairdSVF, TheSoterios, fungster117, BlondeJamesBond, SOVTHtv, and toa_freak who also contributed generous efforts to help bring the Nornfang to life. Needless to say, this incredible armament will sit happily in our museum, a testament to these amazing people just as much as to the Halo universe itself. Last week, ske7ch gave a bit of a themed direction to Halo screenshotters, instructing them to send along shots that were comical in nature. Below are some of our favorites. Enjoy! You can blame @HiddenXperia for #DabForHalo2017, but you can blame this screenshot on @SushixIzzyChan. 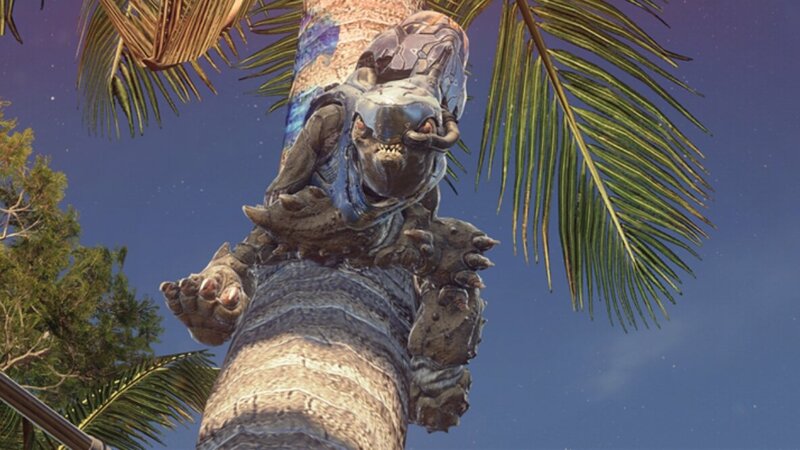 This shot by @HaloTutor is begging for a caption contest. It’s simple, but I like it. “And thus began the thousand year war between the space whales and piggy princesses, the most bloody and ruthless war the world had ever seen.” An absolute gem from @ShockWave964. Until next time… Live well, play Halo, and remember Reach.